Happy Mooncake Festival - 中秋節快乐! | Memorable Days : Beauty Blog - Korean Beauty, European, American Product Reviews. Happy Mooncake Festival - 中秋節快乐! Starbucks & Haagen Dazs in Asia are selling different kinds of mooncakes during this festival. The design of the mooncakes are different every year and it has different kind of flavours as well. Starbucks is selling mooncakes with the flavours: Caramel Macchiato, Hazelnut Latte, Tiramisu and Green Tea Chocolate. Sounds yummy right ^o^?! I found these pictures below on the blog from Yvonne. 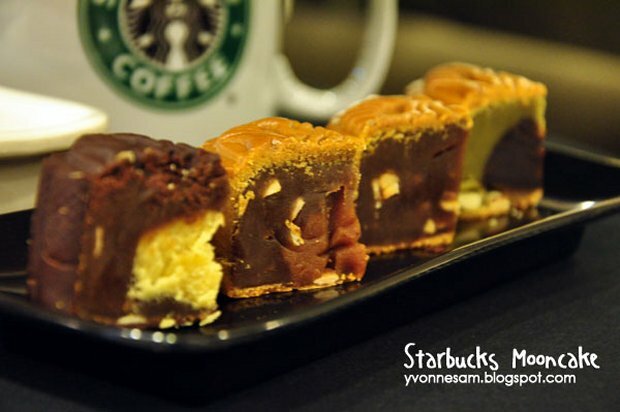 Go to her blog to check out the lovely Starbucks mooncakes. happy mooncake festival! 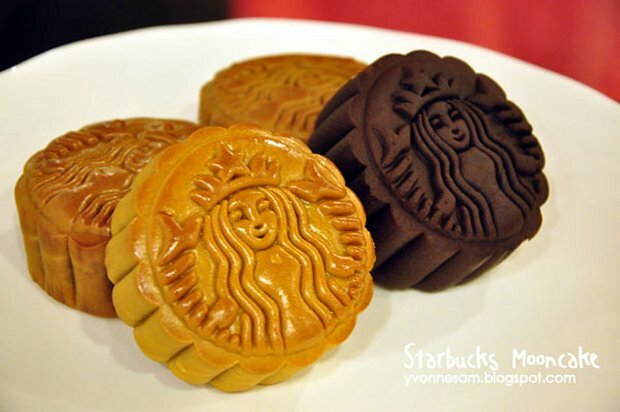 the starbucks mooncakes look so good! Dat ziet er lekker uit zeg. Ik heb het nog nooit gehad! ik vondz die mooncake ijs altijd zo lekker :P ooit geprobeerd? Ah, I wanted to tweet you about this, but forgot. Those mooncakes by Starbucks look so cute! I wish I was in Asia, too. I didn't have a single mooncake this year because I was too stingy to buy any. Interestingly, I prefer the plain lotus ones without the egg yolk, too. Cantonese ppl usually like to eat mooncakes with egg yolk lol, but i really don't like it..